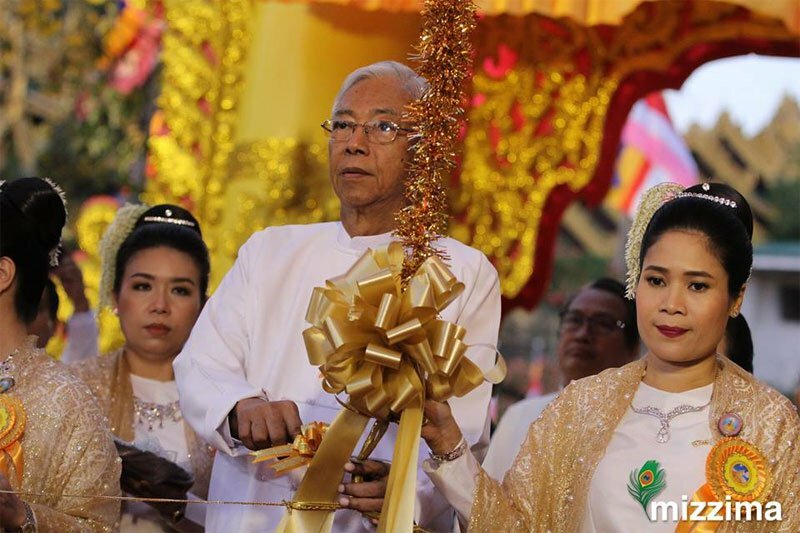 Myanmar President Htin Kyaw attended a New Year's Day ceremony at Shwedagon Pagoda in Yangon on January 1. Some 18,000 monks and nuns gathered at Yangon's Shwedagon Pagoda for a Buddhist ceremony marking New Year's Day, which is a public holiday for the first time in Myanmar. President Htin Kyaw said the government has been working hard to achieve internal peace, national reconciliation, building a democratic federal republic, and improving the social and economic life of the people, a process that had achieved a degree of success. He said Myanmar people had worked with the government with full force and enthusiasm in building a peaceful, prosperous and developed country. Myanmar typically celebrates New Year in April with the popular water festival, also marked in Thailand, Laos and Cambodia.